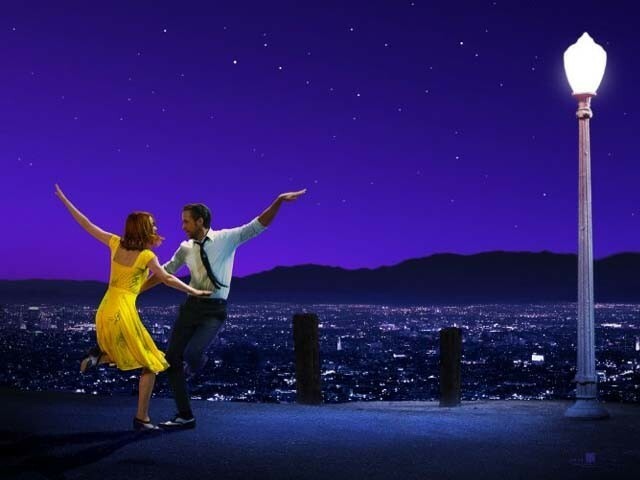 The winner of seven Golden Globes and receiver of 11 Bafta nominations, La La Land is an aesthetically created, romantic yet sentimental melodrama with catchy music and orchestrated dances – all expressed through the indelible characters of Mia and Sebastian. The movie opens in the midst of a traffic jam – a place of chaos and yet what ensues, is both chaotic and beautiful all at the same time. An aspiring actress and barista, Mia (Emma Stone), has a bout of road rage with a skilled jazz pianist, Sebastian (Ryan Gosling). Sebastian is struggling to earn a livelihood playing his piano in an upscale restaurant. 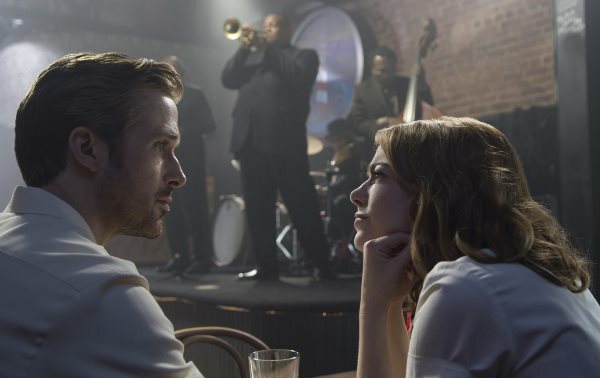 Ryan Gosling and Emma Stone in La La Land (2016). Their second encounter also came to a sour close, as Sebastian was freshly fired from his job for playing an improvised jazz piece. The third meeting is when their luck changes and we are pulled into the magical reality of La La Land. They instantly develop a deep chemistry, and share their hopes, dreams, and aspirations with each other. Their accidental friendship nurtures itself into a mutual love – but unfortunately, it was a love that did not ensue for long. 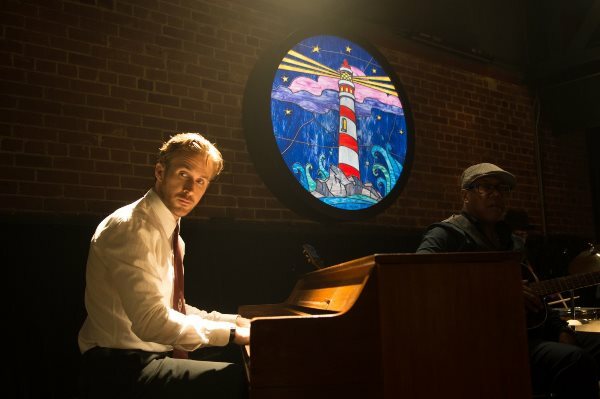 Ryan Gosling in La La Land (2016). Behind the movie’s high-spirited melodious segments throbs a multifaceted relationship, which grips you from the very start. As you fall deeper into their world, their problems seem to grow more vast, and impossible to resolve. The Whiplash (2014) famed director and writer, Chazelle knitted his modern-day romantic tale with the magic of past musicals like the 50s and 60s Singin’ in the Rain (1952), West Side Story (1961), My Fair Lady (1964), Seven Brides for Seven Brothers (1954), Brigadoon (1954), Gigi (1958) and more. These classic anecdotes of lovers being washed away by figments of their pasts were part of Chazelle’s inspiration. However, La La Land celebrated the golden era of the musical films. There is no harm in saying that it is purely an impressive follow-up of the film industry’s ever evolving enthusiasm with melody and dance. Chazelle has focused on pictorial calisthenics. The cinematography of Linus Sandgren tracked every minor move with incredible camera twisting, veering, and hovering all around the artists in an awe-inspiring style. Moreover, he added an opus of colours to enhance the visual pleasure. Gosling’s subtle performance in the song, City of Stars is an example of Chazelle’s fantastical creations – as Gosling walks with the backdrop of a breath-taking multi-coloured sky. 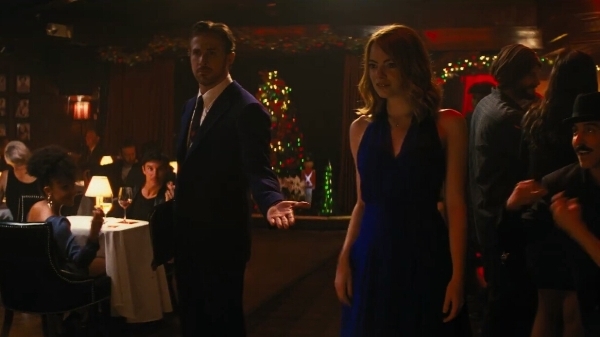 Not only did Justin Hurwitz compose and choreograph the songs of La La Land, but he also dubbed Gosling’s whistling in the film. From the jazzy, romantic song A Lovely Night to the Globe winning melancholy tune City Of Stars, the soundtrack of the musical is pleasing with original scores. As far as the performance is concerned, Stone and Gosling showed splendid and convincing chemistry like they did in Crazy Stupid Love and Gangster Squad. Their on-screen charisma will mesmerise you. Stone shines in marvellous shades, from blooming to strong-willed to distressed, her on-screen magnetism merges perfectly with Mia. She inhabits both the bright and the dark version of Mia, and her performance is one that will be remembered. Dale Robinette, Emma Stone, Jessica Rothe, Sonoya Mizuno, and Callie Hernandez in La La Land (2016). Gosling embodies his character with precision. He was the right choice for the passionate jazz musician, that’s rough around the edges. His acting skills were seen and felt across the globe. From the strenuous toe-tapping to a baroque ballroom number to solo piano acts, Sebastian does it all for Mia – and Gosling enacts it in the most believable of ways. In a nutshell, the 126-minute engaging storyline is expressive, emotional, and heart-rendering all at the same time. It is the sparkling fantasy all little girls dream about, it is the realistic tale that all women know to be true, and it is the profound melodrama that we watch on a Friday night, solely for pleasure. La La Land is completely captivating from the beginning till the end – all in all, an irresistible entertainment.